Over the past day of October 7, in the zone of the Joined Forces Operation in the Donbas, 27 cases of ceasefire violations by the Russian occupation forces were recorded, the JFO press center reported on Facebook. The militants used weapons banned under the Minsk agreement in 11 of their attacks. The occupation forces opened fire from grenade launchers, large-caliber machine guns, small arms, weapons of armoured personnel carriers. “The enemy fired at our positions in the areas of settlements Krymske, Novotoshkivske, Vilne, Yekaterynivka, Novozvanivka, Luhanske, Svitlodarsk, Novoluhanske, Krasnohorivka, Novomykhailivka, Novotroitske, Hnutove, Vodiane, Lebedynske, Shyrokine." 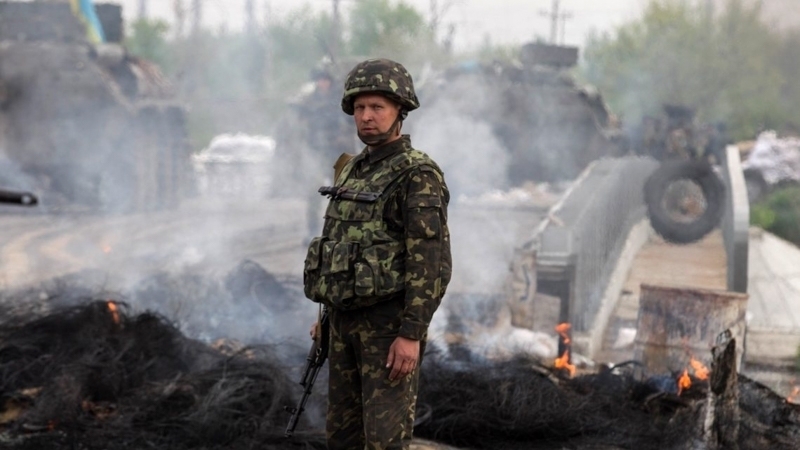 Losses among the Ukrainian forces were not recorded. According to intelligence, one militant was eliminated and seven injured. From the beginning of the current day, on October 8, the enemy conducted six fire attacks at JFO positions in the Mariupol direction near the settlements of Pavlopil, Hnutove, Vodiane, Lebedynske, Shyrokine. Militants used weapons of infantry fighting vehicles, grenade launchers, large-caliber machine guns, small arms. Earlier, a spokesman for the Ministry of Defense of Ukraine, Colonel Dmitry Hutsulyak, said that in the occupied territory of the Luhansk region a large batch of small arms and ammunition had arrived from Russia. According to him, these weapons are to be transferred to "Cossack" units and regular formations in the event of the spread of hostilities.